Cloud Computing | Central Business Systems, Inc.
Simplify management and administration requirements on internal IT teams, leveraging resilient, highly available data centers. Office 365 is a cloud-based solution of Office applications by Microsoft. It allows you to process mail, documents, and other tasks in the cloud from virtually anywhere, with little to no overhead for file and mail servers. If the power in your office fails tonight, and all of your computers crash, how quickly can you recover? 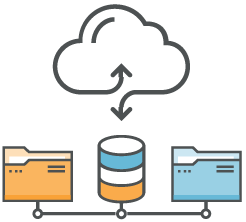 A key difference between backup and disaster recovery is this: backup will restore individual files back to where they came from; whereas a disaster recovery system can restore your entire server to somewhere else. Backup systems are intrinsically connected to the system they are protecting.